Little Boy Is Sitting On His Father's Knee, Playing With A Toy Car On The Table. Royalty Free Fotografie A Reklamní Fotografie. Image 53144879. 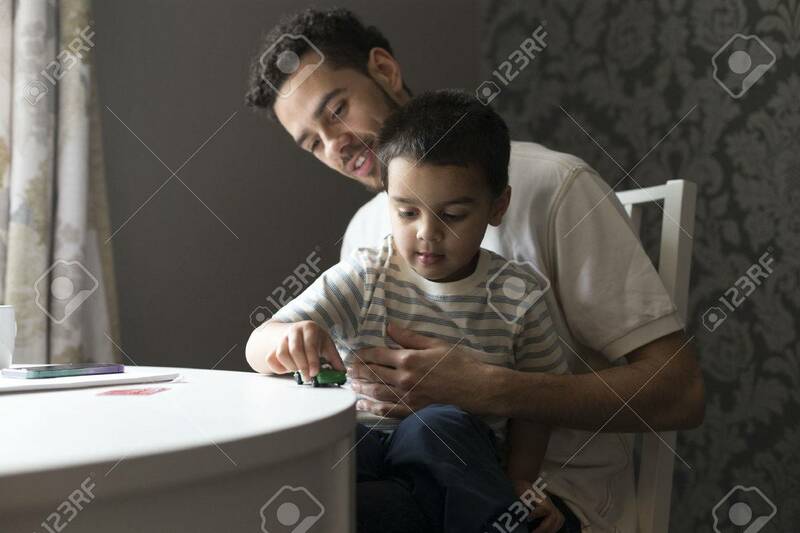 Reklamní fotografie - Little boy is sitting on his father's knee, playing with a toy car on the table. Little boy is sitting on his father's knee, playing with a toy car on the table.